This presentation introduces users to the various considerations for hosting a successful virtual meeting. It guides participants through some participatory activities for facilitating virtual meetings, and shares some tips on keeping participants engaged throughout the meeting. 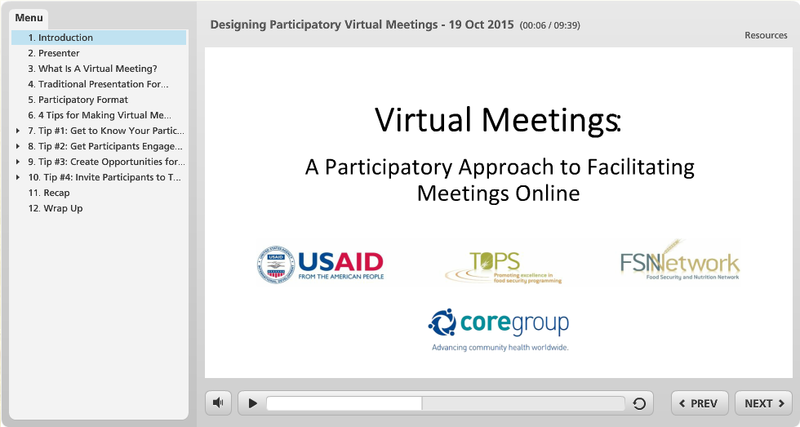 Please click here for more resources on participatory approaches to facilitating meetings online.